If a property owner had prior notice or should have known about the condition, they can be held liable for your injuries. You may also be able to recover for medical bills, pain and suffering, lost wages, and legal fees. Most conditions have been amendable for quite some time and when a property owner had prior notice and didn’t fix the problem, they are liable for negligence. In the case of weather-related conditions, New York law states that the property owners cannot be reasonably held responsible for conditions related to inclement weather without adequate time to correct the problem. Furthermore, a property owner is not responsible for the removal of snow and ice until a reasonable time after the end of the storm. What should you do in case of a parking lot accident? If you have been the victim of a parking lot accident and you need medical attention, get it. Not only does medical care address your injury, it proves your medical status at the time of the accident. If you do not contact the police, an ambulance, or get the name of a witness, it will be harder to prove your case. Just because you were hurt in a parking area doesn’t mean the property owner is responsible. You have to prove that your injury was the direct result of the property owner’s negligence. You have the burden of proof. You have the responsibility to prove that the property owner knew or should have known, about the condition and failed to address it. If you are physically able, it would be in your best interests to document the location, time, and the condition of the accident. If you have a camera on your cell phone, take a picture of the condition as soon as possible. Especially with weather-related conditions, gathering evidence is time-sensitive and those conditions may change dramatically in the next few hours. If you have been the victim of a parking lot accident, you need to act quickly. Contact The Noll Law Firm, P.C. to immediately send someone out to the location of the accident in order to document the condition which led to your accident. Our attorneys work with professionals who access personal injury accidents sites for potential neglect on behalf of our clients. Especially with weather-related situations, conditions change by the minute and picking the right law firm who can act quickly to prove your case is imperative. Our earnest attorneys are committed to recovering any damages you deserve. 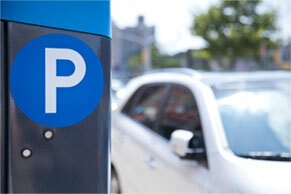 If you have been the victim of a parking lot accident, call The Noll Law Firm, P.C. What kind of compensation would I receive in an auto accident in Syosset, NY? What is the first thing people should do after a car accident? What are no-fault insurance benefits? What if my vehicle is totaled in a car accident? What type of medical care should I seek after my auto accident? How do I get no-fault benefits? Who will pay my medical bills after a Long Island car accident? What’s important to know about potholes on the Long Island Expressway?